Moonstone is one of the beloved feldspar minerals that is a potassium aluminum silicate. Its crystal system is prismatic and it has a lamellar structure. It appears in many types and colors but is generally opalescent, clear, white, grey, or peach. Moonstones of all varieties and colors show off a breathtaking blue-white sheen which is a unique characteristic of the stone. 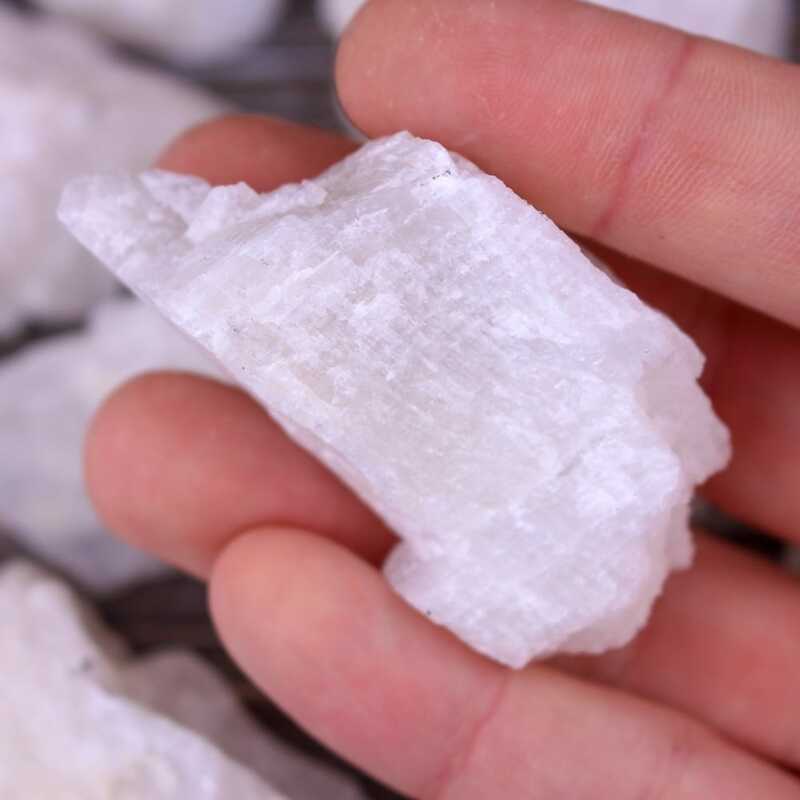 Its classic feldspar opalescence is what physically links this stone to the glowing mother in the sky. This is where it gets its name, derived from its similar resemblance to the Moon’s auric lunar glow. Just looking at this stone allows one to tap into the receptive feminine force. Moonstone is most commonly found in Sri Lanka, Australia, India, United States, Burma and Madagascar. Moonstone has always been valued as a sacred stone in India, especially for its symbolic relation to lovers. It was also a tradition in India to gift Moonstone to newly wedded couples as it was believed to ensure a long-lasting harmonious relationship. It was popularly used for jewelry in the ancient Eastern European civilizations and in the Roman Empire. Throughout Europe it was used to cure insomnia and mend romantic relationships (especially when serious fights take place). Moonstone is a very receptive stone that is known to draw in love. Wearing or carrying Moonstone can help bring more love into your life and will aid in understanding your emotions. It is especially receptive to the feelings of those using it and can be used for healing as well. 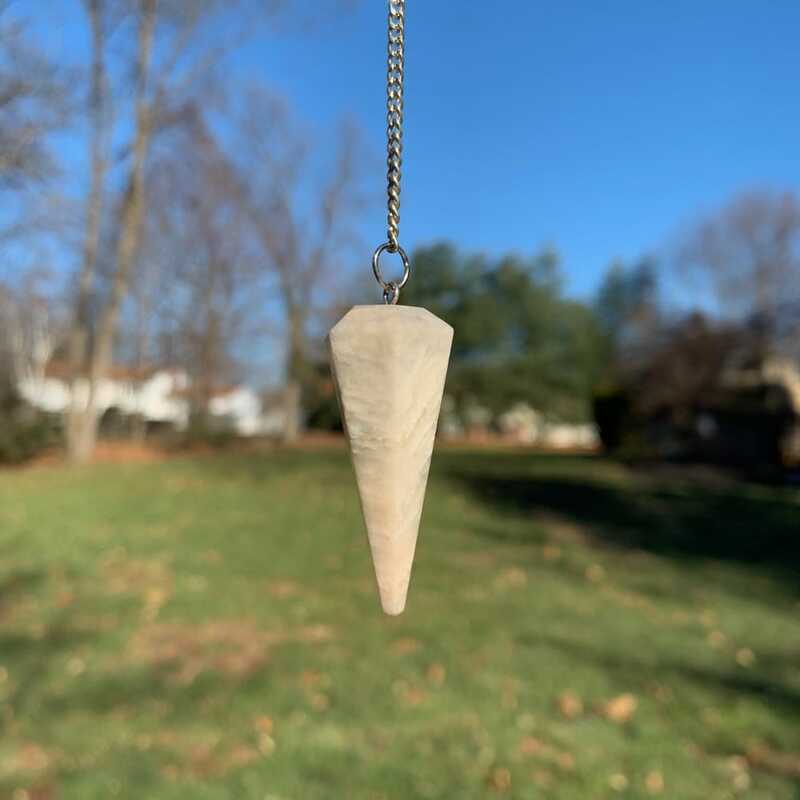 Try holding a piece of Moonstone and empowering it with loving vibrations, give it to someone who is going through difficult times (especially emotionally) so they can feel the extra love as well. A common tale is that if two lovers place a piece of Moonstone in their mouths on the night of the full Moon, it allows them to see their future. The vibrations that Moonstone emanate are of great aid in clearing the aura and can quickly activate the chakra column. This stone works directly with the third eye and crown to draw in higher energies that shimmer through the body, bringing the physical and emotional bodies into a state of tranquility. Specifically When used by females it activates kundalini energy and aids in clairvoyance. When used by males it inspires emotional balance and nonlinear thinking. When males work with Moonstone, they bring their left-brained energies into balance by seeking more internal knowledge. Holding a piece of moonstone will allow males to see from a different perspective and reflect on their feelings. Moonstone is very deeply connected to the Moon, and has important uses during each of the Moon’s cycles. It is said that its energies are more potent during the waxing than waning cycles. During the waxing phases, the Moon expands and becomes brighter up until the full Moon - the time in which its energies radiate most vibrantly. Try using Moonstone for more projective purposes during this time. After the full Moon begins to wane, it retracts and becomes darker up until the new Moon - the time in which its energies are most receptive and deeply felt. It is generally most powerful to use Moonstone for internal and divinitory purposes during this time. Moonstone’s frequency quietly asks us to examine and think about the cycles in our lives. Every moon cycle offers us the opportunity to observe the changes in our relationships, and to move higher in our spiritual development. With each passing moon cycle we are learning more about ourselves, growing wiser, and gaining knowledge. Just like our plants in the garden, Moonstone allows us to understand when the right time is to harvest our creations. The energies of both Moonstone and our Moon have long held lore on our planet. In times past, those who were thought to be moonstruck during the full Moon were labeled as “lunatics”. Of course, this word deriving from its root word “luna” referring to the Great Mother herself. Those with a connection to this stone will quickly learn that its vibrations evoke the power of patience. Moonstone helps us to harness our intuition and to know when the time is right to act.